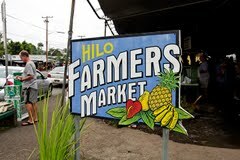 Hilo Farmer’s market is made up of the sale of fruits and vegetables every day except Sunday. The sale of arts and crafts is on Wednesday’s and Saturday’s. 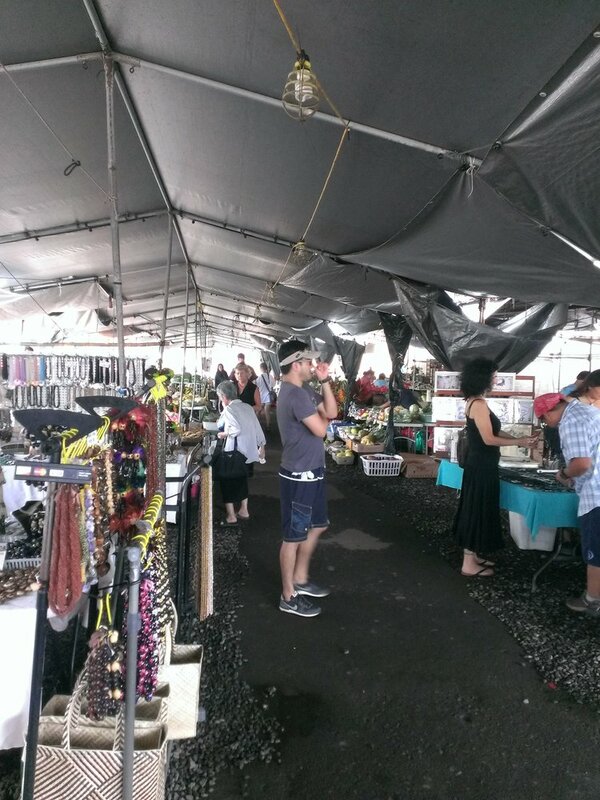 Why is the Hilo Farmers Market a “must go to” if your stay is on Wednesday or Saturday? For the same reason you decided to visit Hilo and the Big Island to begin with. This isn’t a tourist inspire farmers market. 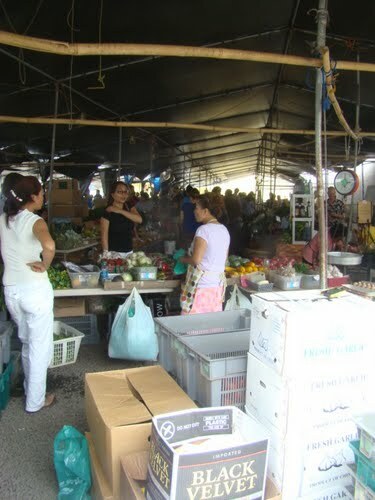 It is a real farmers market where locals buy fresh fruit and vegetables from local growers. If you’re here for a week, go as early in your stay as possible to stock up. Instead of eating out, make a great salad with fresh avocado, tomatoes, lettuce and cucumbers. Never had Dragon Fruit? Now is your chance. Tropical fruit can take a little getting use to as the flavor is strong. Most homes have a single serving blender. Get vanilla ice cream. Mix Papaya, Mango, Guava and small, sweat bananas together. Well – maybe not all together, but experiment with with different combinations. Try a bowl of interesting favorites you will likely never see again. Some interesting fruit includes Suriname Cherry, Lychee, Passion Fruit (Lilikoi) and Longan. 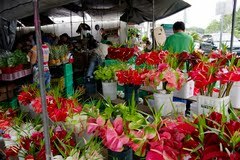 On Wednesday s and Saturdays you will find a great selection of local crafts, dresses and jewelry. These are locally created products at very attractive prices.